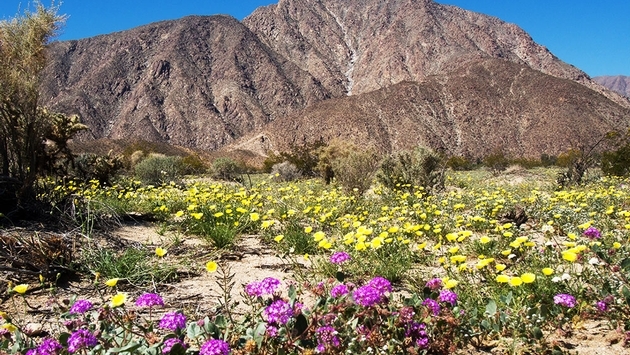 Last year was one for the books when it came to wildflower viewing in California’s deserts, which received record rainfall and 2017 may prove to be another in places such as Anza-Borrego Desert State Park, according to the Los Angeles Times. “With a record 5 inches of rain in the last two months (that’s a season total in some years), he’s expecting spectacular shows of plants like desert lilies, verbena and dune primroses,” writes Mary Forgione. Peak blooms are expected between the middle of March to early April. It’s up to nature, now. Hot temperatures or high winds could ruin the bloom. But for flower lovers, make plans now, Forgione recommends. 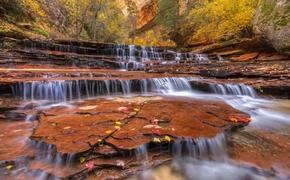 “To hit the sweet spot for wildflowers, or close to it, make travel plans now. A “pervasive” bloom — one with carpets of purple verbena, red-tipped ocotillos or large white desert primrose — should arrive at low elevations in late February, Cowan tells the Times. For more predictions on the wildflower bloom, read on here.